Here are collected notes and ideas on building your own solar photovoltaic (PV) panel. These come from a number of places including attending a course run by Dan Quiggin of Demand Energy Equality, web-searching, discussion with Norman Phipps of Handmade Solar and also running my own DIY PV workshop at Nottingham hackspace. I feel that the process of making a solar PV panel is very informative and interesting. Making solar PV panels cheaper than those available is quite difficult, due to mass manufacture production methods and the use of cheaper labour. Also encapsulation is a major issue – without correct encapsulation then there might be issues with moisture and degradation of the surface of the cells. Demand Energy Equality, based in Bristol, run workshops around the UK. They have an open-source guide to DIY PV process. (Update: 2/12/12) Demand Energy Equality have just released a number of very interesting video tutorials for the process available here. The Low Impact Living Initiative Build a PV panel course, run by Norman Phipps. Photos from this course and the other work Norman has done changed my mind about DIY PV. The cells are fully sealed using encapsulant within the panel. I would expect these panels to have a reasonable lifetime. Norman also runs courses in Africa as Handmade Solar. MAKE magazine had an article on building a 20Wp solar panel in Vol. 12. You will need to buy the magazine to get this article. It used a 20Wp kit from this company in the US. Know Your Planet have a build your own solar panel kit available here. They also have info on making solar phone chargers. There are loads of YouTube videos such as this one. Do a bit of a search to find all the info. 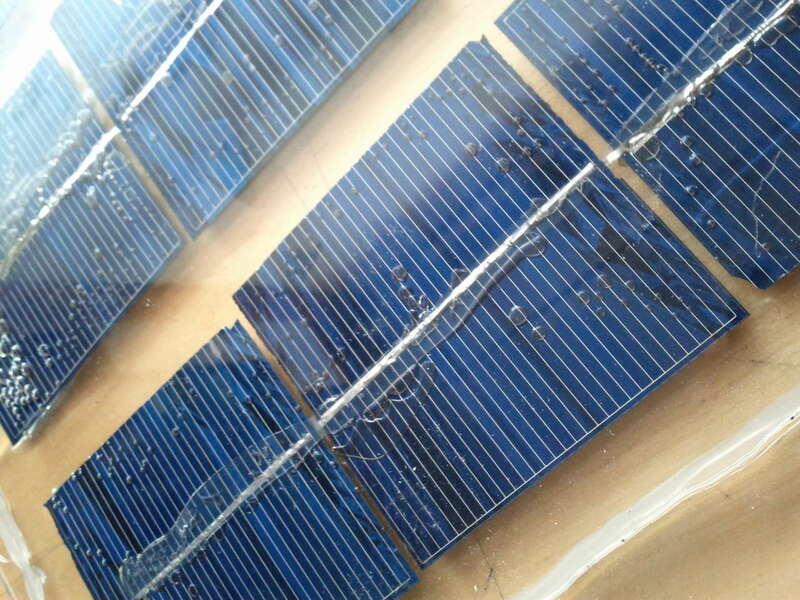 The glass used in solar PV modules is low-iron oxide glass. This has very good transmissivity properties. Glass used for windows generally block UV light and which reduces the efficiency of the finished panel if used in a DIY solar panel. Obviously low-iron glass is harder to come by. I used 4mm window pane glass for my PV panels as it was very cheap and easy to come by. Actually making your own glass is obviously very difficult and has a very high enegy cost. For a DIY solar panel it makes energy and environmental sense to re-use window pane glass. 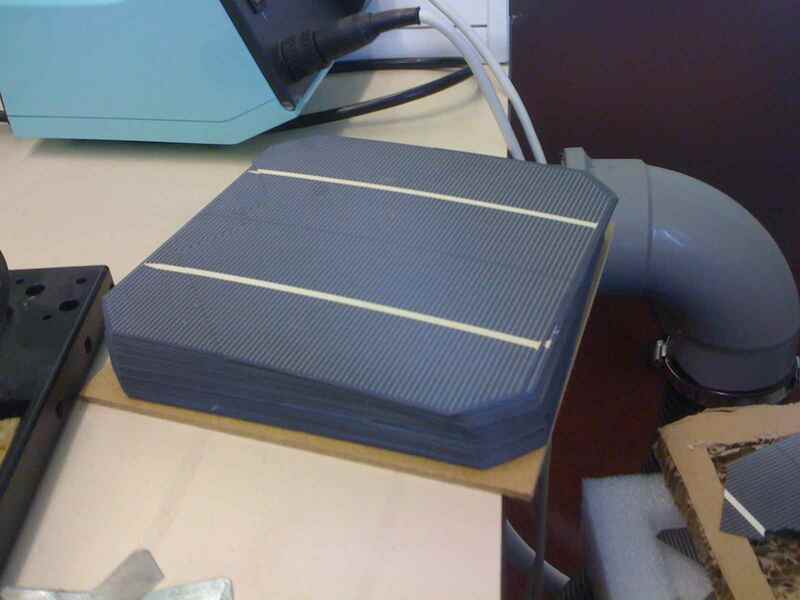 The main part of the solar PV panel. 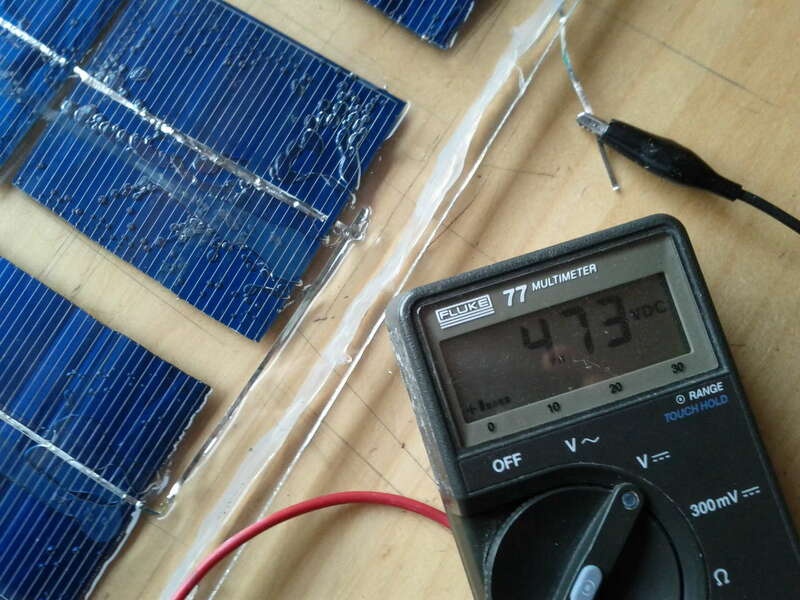 DIY solar PV panels use reject or slightly damaged PV cells from large PV producers. Making your own DIY mono or poly crystalline would be almost impossible due to the energy requirements and the fact they must be produced in extremely clean environments. Cutting the cells into thin wafers (generally 100um thick) requires production techniques. To make good connections, correct tabbing wire should be used. It is not expensive to buy. 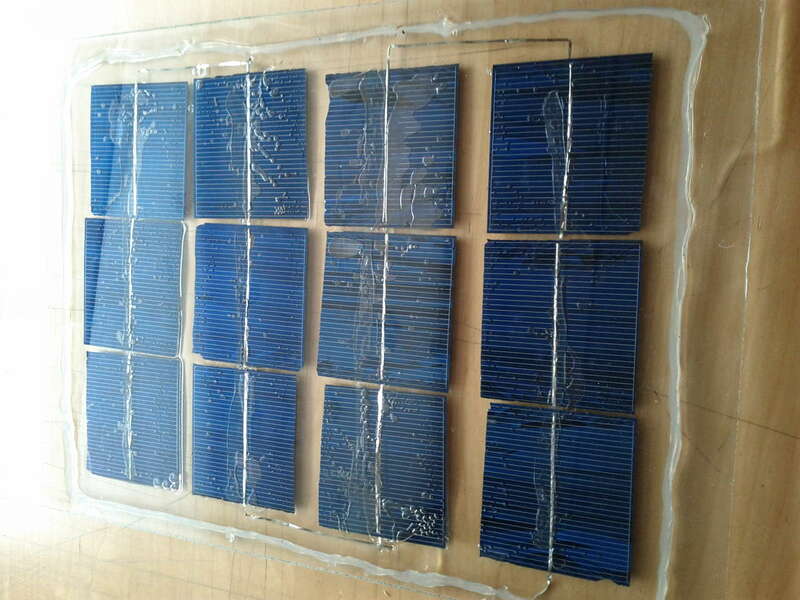 Commercial solar PV modules use special silicone encapsulant. This protects the cells from moisture ingress and also from minor vibration damage as the cells are extremely fragile. This option is available to the DIYer (check the video in this post) but is the correct encapsulant is quite expensive to buy, especially in small quantities. Most commercial PV modules have an aluminium frame. This is for mechanical protection and for helping to mount the modules. This is potentially not required for DIY modules. Also re-cycled aluminium angle could be used. I used 4mm thick glass and was only making quite small modules, so frames were not required. 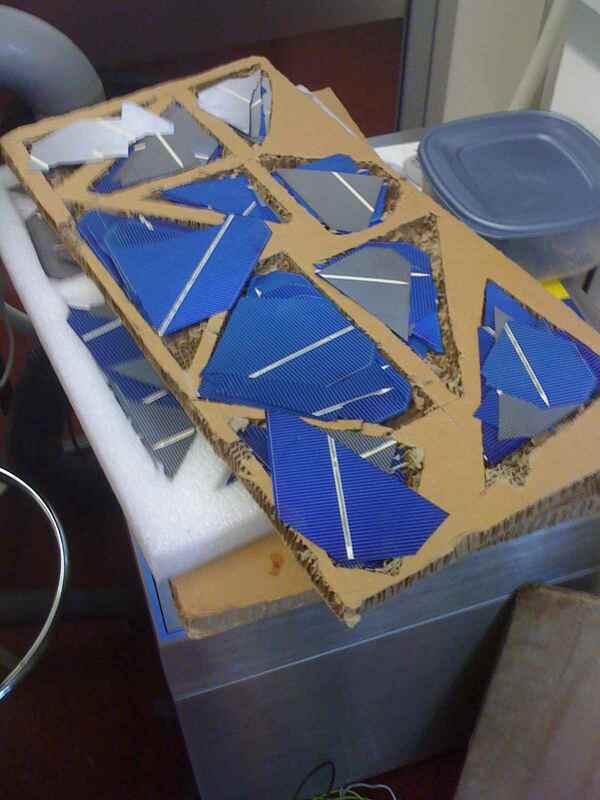 The majority of DIY PV modules use broken or rejected crystalline silicon solar cells. Here are some broken pieces from a large manufacturer. 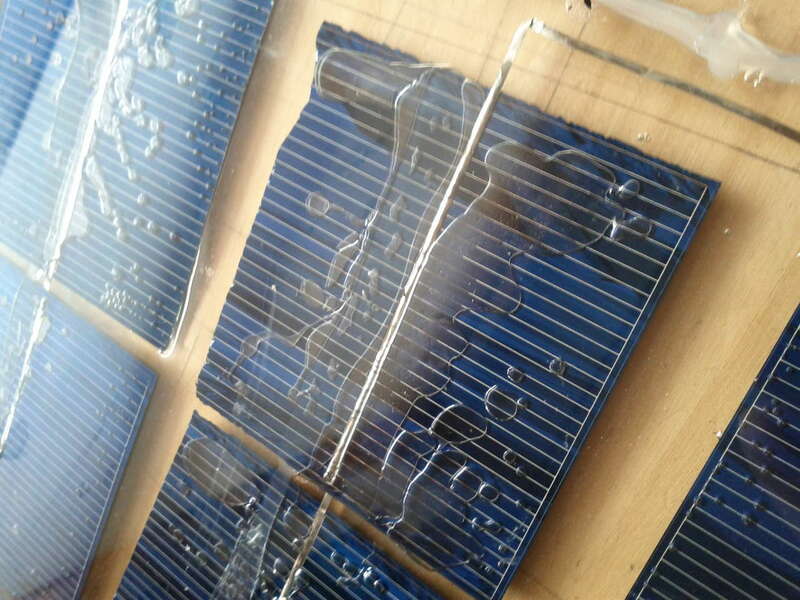 Due to the fragile nature of the cells, most PV manufacturers have rejects, which are usually re-processed as they are produced from very high purity silicon. Obviously this comes at a high energy cost and if they can be sensibly used in DIY modules then it is probably better from an environmental point of view. A selection of randomly sized broken cell fragments. The output voltage of a cell even a very small piece will be the same (around 0.6V) but the output current will be totally dependant upon the surface area. This is a pack of full and almost full cells. They might have been rejected by the manufacturer due to some cosmetic defect or very small chip. Cutting the PV cells would be a good idea to do so that the modules are more even and we can fit more PV cell area into a give space. The various random sized pieces could all be made into relatively standard pieces and hence make it easier to wire together. It would also help standardise the tabbing connections. It is difficult to cut a crystalline cell, as they have a tendency to shatter as they are very thin and fragile. Here are some videos of processes to cut the cells. Most use a diamond cutting disk and a rotary tool (such as a Dremel etc). I tried this by hand but the cells can still shatter, hence you also need some form of jig to hold the rotary tool. How to cut solar cells – Similar technique to above with diamond cutting disk. The video above also has an Instructable to go with it. DC to power – Dicing solar cells. Slightly different way – milling them rather than cutting, with a diamond mill bit. Robrt Smith Build your own PV panel – a number videos with a full panel build. Really in-depth, but he uses pre-cut PV cells. Information about soldering the tabbing wire. I built a jig holding a Dermel tool and that cut the cells, but it was still a difficult process which left a slightly jagged edge. This is something that I still need to work on. 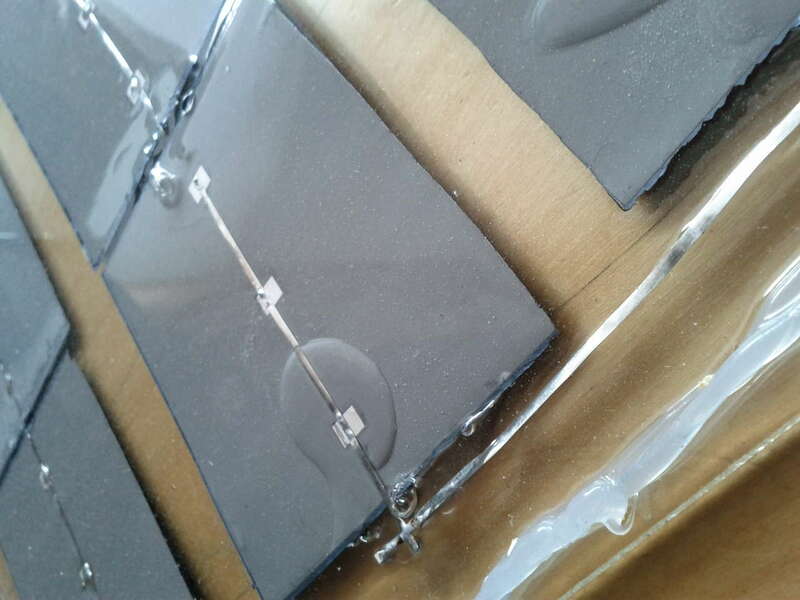 PV cells are wired together using tabbing wire. This is soldered onto the front and back of each cell, which are the two electrical connections to the cell. A high powered soldering iron is used along with additional flux from a flux pen. 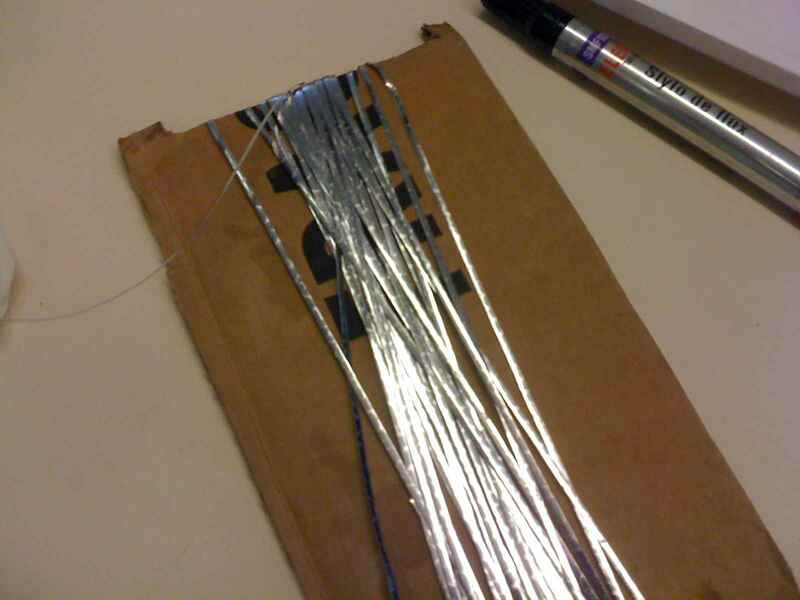 The tabbing wire already has solder on it and the flux ensures that a good electrical connection is made. Once soldered then check with a multimeter to see which side is positive and which is negative and also that the cell is functioning correctly. Each PV cell only generates around 0.6V DC so cells are wired in series to give higher voltages. 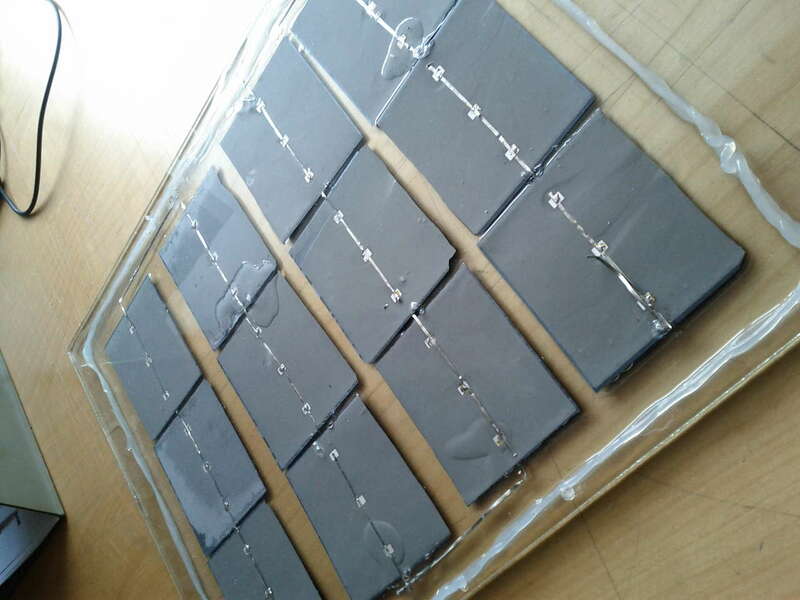 For a PV module for a 12V lead-acid battery you will need 36 cells wired in series. Tabbing wire on a cardboard reel and a flux pen. This is the end result of the PV panel build. There are 12 cells ins series, each giving around 0.6V, so output will be in the region of 7V. All of the cells has some air bubbles. Next time I would put a thin layer of silicone down then push the cells into it, rather than let it pour around. This was the worst cell for bubbles – there is a large air gap. But it is all sealed, so moisture cannot enter. The back of the module – no bubbles here. There are blobs on the back and points where the tabbing wire sticks through the silicone, which is not good. I have patched that up with silicone sealant. This module was designed to output 7V under bright light. It outputs 5V on the desk in my office, which is OK, but needs more testing. Here is an interesting link to DIY encapsulation from Everbright Solar. This small panel is needed to power the fan for my pop-can solar system.